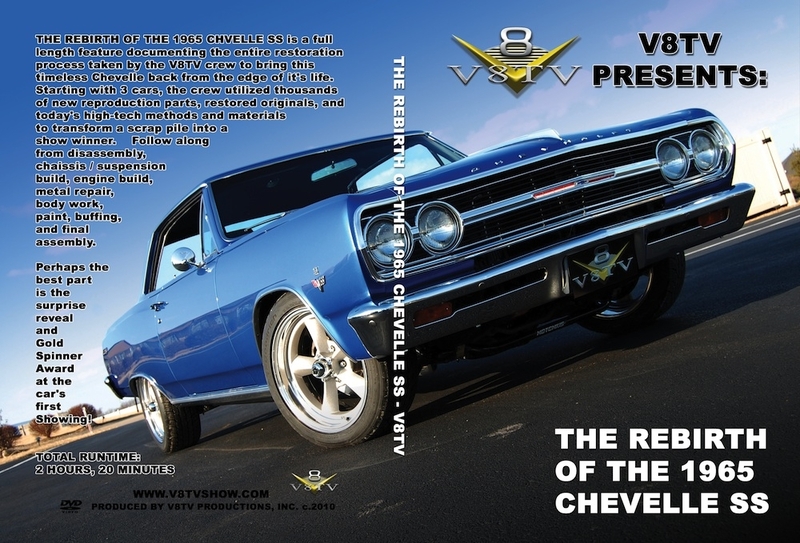 THE REBIRTH OF THE 1965 CHVELLE SS is a full length feature documenting the entire restoration process taken by the V8TV crew to bring this timeless Chevelle back from the edge of it's life. Starting with 3 cars, the crew utilized thousands of new reproduction parts, restored originals, and today's high-tech methods and materials to transform a scrap pile into a show winner. Follow along from disassembly, chaissis / suspension build, engine build, metal repair, body work, paint, buffing, and final assembly. Perhaps the best part is the surprise reveal and Gold Spinner Award at the car's first Showing! 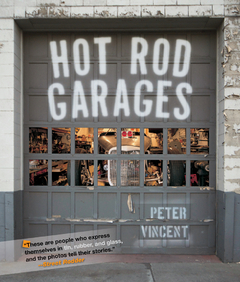 In Hot Rod Garages, acclaimed hot rod photographer and authorPeter Vincent gives readers an intimate look inside the shops and garages of more than two dozen rod and custom builders. Unlike most hot rod books, Vincent's takes a strictly California-centric approach in examining shops across the United States. From individuals crafting cars for their own reward to more prominent builders turning out cool rides for paying customers, Vincent and his cameras show the builders in the context of their spaces, in the process exploring how their work environments inform their creations and vice versa. 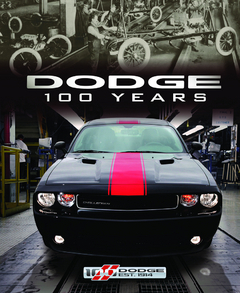 Included are individuals like Pete Eastwood who have garnered attention in the hot rod press while building mostly for themselves; builders like Vern and Keith Tardel, the Kennedy Brothers, and Cole Foster with his crew at Salinas Boyz, all currently being celebrated for the traditionally styled rides they build for consumers; and high-end shops widely considered to be the cream of the industry, like Roy Brizio's and Steve Moal's in the Bay Area, as well as SO-CAL Speed Shop (heir to legend Alex Xydias). 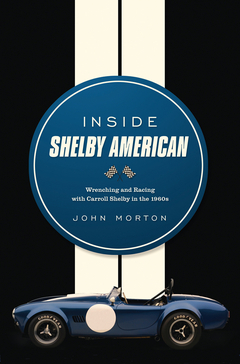 The result is the next best thing to being there--an exquisitely presented book that eloquently distills the varying nature of these spaces and the cars created within, revealing the countless hours spent machining, wrenching, welding, and shaping these beautiful visions to fruition. In the early 1960s, Lee Iacocca—then director of the Ford division at Ford Motor Company—convinced Henry Ford II to produce a sporty four-seat car aimed at the emerging youth market. That car, essentially a reconfigured and re-skinned Falcon economy car, became the Ford Mustang, and it changed the automotive world like no other car before or since. 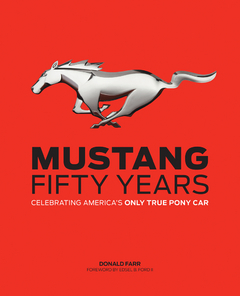 In Mustang: Fifty Years, acclaimed Mustang writer Donald Farr celebrates this unbroken lineage of muscle: its phenomenal first-year sales, the new “pony car” genre it pioneered, and subsequent models that include the Mustang GT, Shelby GT350, Shelby GT500, Super Cobra Jet, Boss 302 and Boss 429—all part of a line of American performance cars that continues on to this day. With 400 photos of the USA’s iconic sports car and released in tandem with the Mustang’s 50th anniversary, Mustang: Fifty Years is a must on the bookshelf of any gearhead or Ford aficionado. Hardcover, 256 pages, 10 x 12.25 in. Professional Sheet Metal Fabrication is the number-one resource for sheet metal workers old and new. Join veteran metalworker Ed Barr as he walks you through the ins and outs of planning a sheet metal project, acquiring the necessary tools and resources, doing the work, and adding the perfect finishing touches for a seamless final product. 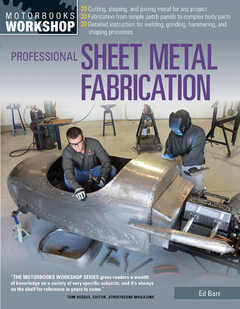 From his workshop at McPherson College-home of the only accredited four-year degree in automotive restoration technology-Barr not only demonstrates how the latest tools and products work, but also explains why sheet metal reacts the way it does to a wide variety of processes. He includes clear directions for shaping metal using hand tools, the English Wheel, the pneumatic planishing hammer, and other machines, and discusses a variety of ways to cut and join metal through welding, soldering, brazing, and riveting. Dent repair and automotive patch panel fabrication are covered in detail. Readers are also given tips on copying shapes and building foam, wire, and wood station bucks to use as guides during shaping. 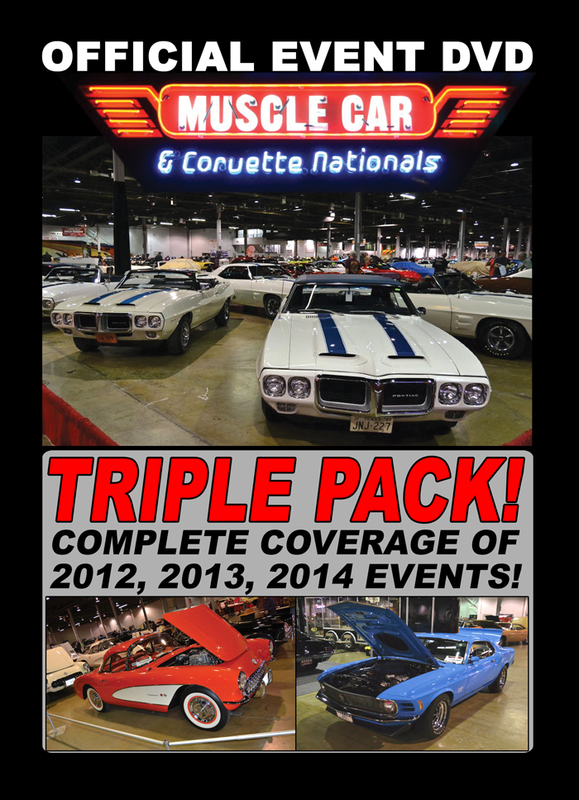 This is truly the most detailed enthusiast-focused sheet metal how-to book on the market. Whether you're a metal hobbyist or experienced professional, you're sure to find something new inProfessional Sheet Metal Fabrication. Solvent-based paints have been used in automotive applications since the days when automobiles were called "buggies" and the horsepower was provided by, well, horses. But recent EPA regulations have restricted solvent-based paints for use only in approved professional paint booths, meaning that do-it-yourselfers can no longer use them--and it won't be long before their use is banned entirely. Paint manufacturers have raced to develop water-based paints as a replacement for the solvent-based paints previously used. These new water-based automotive paints are of very high quality, but they require different methods and techniques for proper application, virtually rendering previous automotive paint books obsolete. 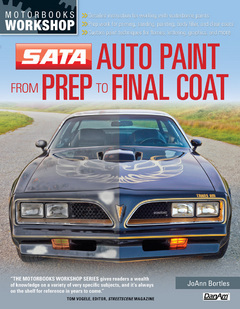 SATA Auto Paint from Prep to Final Coat is the first book to provide instruction in these new paints. In addition to providing this critical information, author and top professional painter JoAnn Bortles covers all the techniques necessary to get the great results your car deserves. From initial body-panel preparation, to troubleshooting common problems, to applying the final coat and all steps in between, this book is the only reference you will need to ensure your DIY automotive paint job is done right the first time. Of the legendary names in the history of the Ford Mustang, one stands apart: BOSS. Originally created to homologate the new Boss 302 engine and option package for SCCA Trans-Am racing, the Mustang Boss 302 debuted for the 1969 model year and was built in limited numbers for the street through 1970. Designed by the legendary Larry Shinoda, the Boss cars were easily distinguished from their less potent stablemates by their race-bred powerplant, standard front spoiler, and bold graphics. For the 2012 model year, Ford has at long last revived the most revered of all Mustang models: BOSS. With a new racing counterpart and a modern street version that delivers more than 440 horsepower, the Boss is truly back! 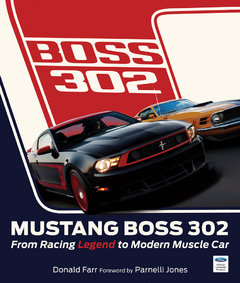 To mark this historic occasion, Mustang historian Donald Farr has written a complete history of the Boss 302, from its late 1960s origins in Ford’s boardrooms, through its Trans-Am successes and untimely demise in 1970 up to the conception and development of the spectacular new 2012 Mustang Boss 302. 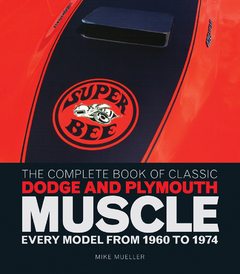 Packed with brilliant photography and first-hand accounts from the people who created the original Boss as well as the team that resurrected Ford’s most iconic Mustang, this is the story every Mustang enthusiast has been waiting to read! 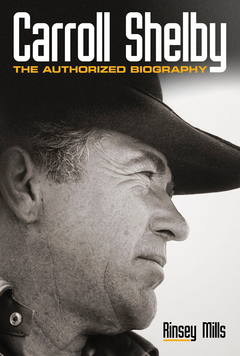 Hardcover, 160 pages, 9.5 x 11.125 in. 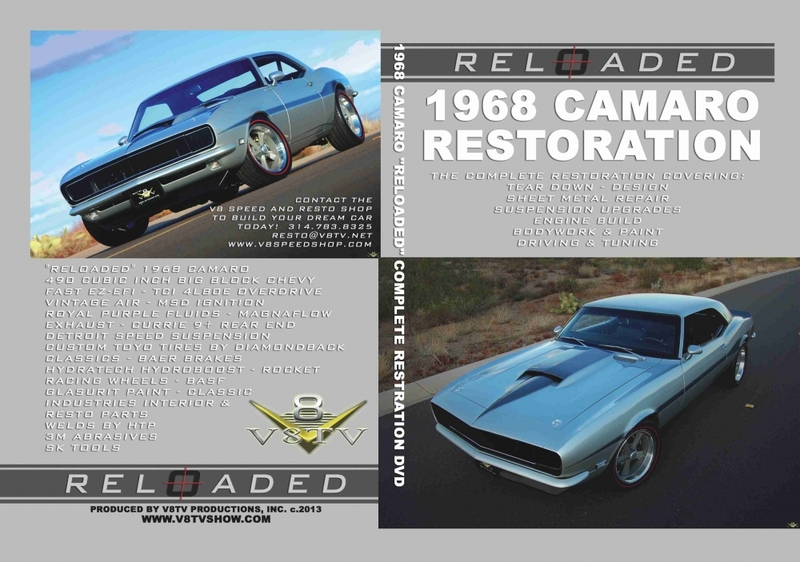 This is a Camaro book like no other. 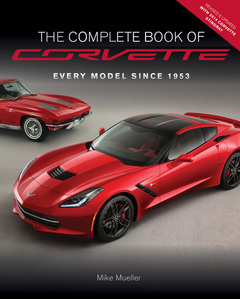 The Complete Book of Camaro covers the entire production history of Chevrolet’s iconic pony car, from the original concept car, code-named Panther, to the latest and greatest fifth-generation sensation. 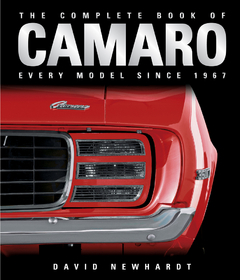 The Complete Book of Camaro showcases in photos, text, and technical specifications every model since 1967. 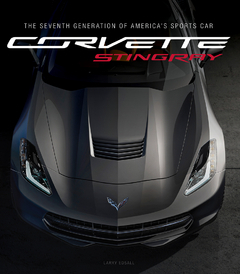 If Chevrolet built it, it is here. 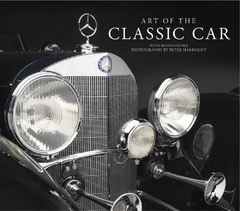 Art of the Classic Car features the stunning studio photography of Peter Harholdt (Art of the Hot Rod, Art of the Muscle Car), lavished on the most significant automobiles from the classic era: the 1910s to early 1940s. 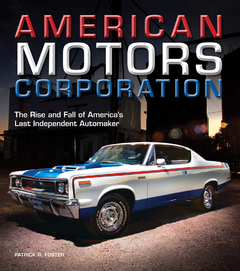 Every page contains framable-quality portraits of some of the most important cars ever made, with each car accompanied by a short essay from automotive expert Peter Bodensteiner that places the model contextually within automotive history. Complete with period ads and promotional art, Art of the Classic Car is the most beautiful pictorial history of classic cars ever produced. Hardcover, 224 pages, 12.25 x 10.75 in.